This new version of the plugin is still being worked on and has not been extensively tested. There are some known issues, and probably some unknown issues as well. Feel free to install the plugin, and please do provide feedback, but keep in mind that it is a beta. 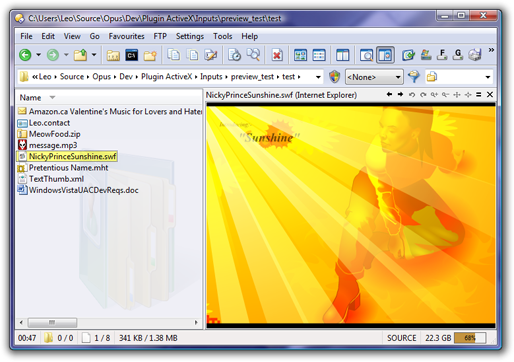 Support for Preview Handlers within Directory Opus. 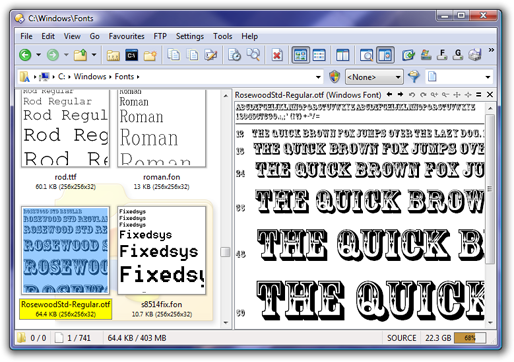 Preview Handlers are a new type of lightweight viewer used by Windows Vista's Explorer and Microsoft Office 2007. 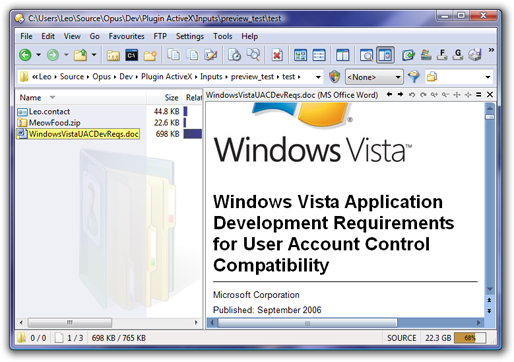 Vista & Office 2007 ship with several useful Preview Handlers for formats including Word, RTF, Excel, PowerPoint, Visio, fonts, contacts, web pages, saved e-mails, various video formats, and more. Additional Preview Handlers are available on the net and some work on XP as well as Vista. 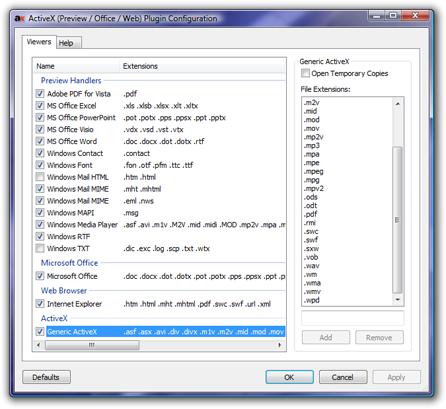 As before, support for Microsoft Office documents if you have Office or the standalone Office ActiveX viewers installed. 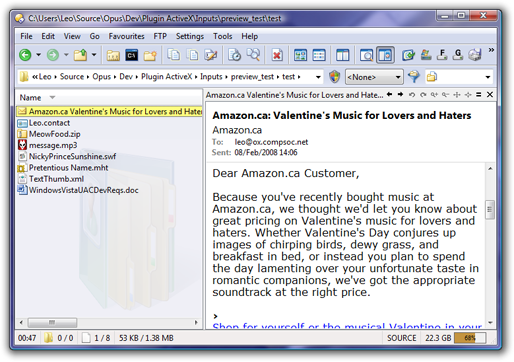 The default configuration has also been updated to include the new Office 2007 file extensions. Improved support for web documents. 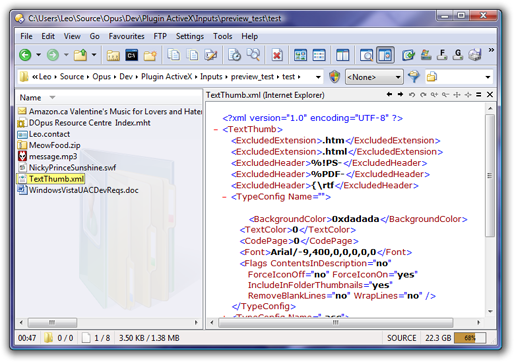 In addition to the old HTML support the plugin can now view MHT, URL and XML files. 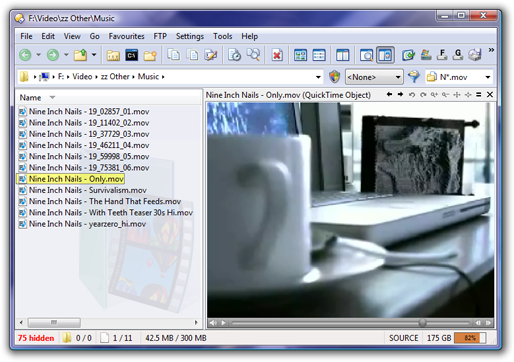 New support for QuickTime .MOV files. 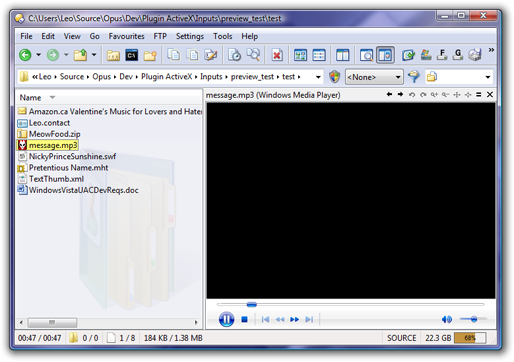 Opus's Movie plugin is still the better choice for MOV playback if you have the required DirectShow filters installed, but now the ActiveX plugin provides a decent fallback for those who don't. Generally improved compatibility. 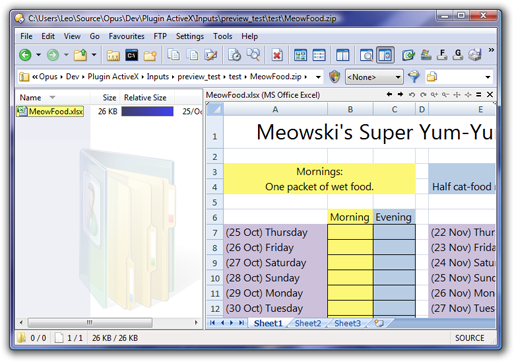 Several ActiveX controls which did not work in the past now work with this version. 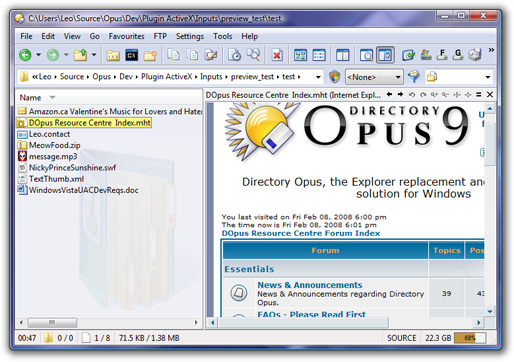 Version 3 of the ActiveX plugin requires Directory Opus 9.1.0.1 or above. It is currently for 32-bit installs only but a 64-bit version is in progress.